Welcome to the Ansonia Nature Center! 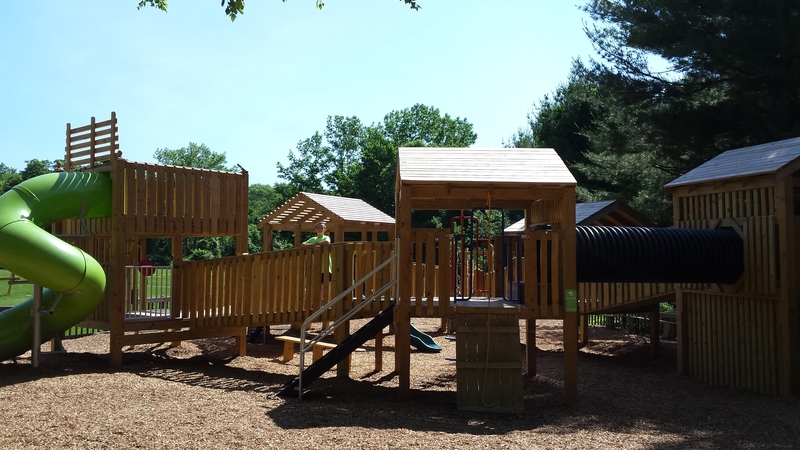 Enjoy our large, wooden playground! Join us for our Creature Feature every Saturday at Noon! Visit Mary, our resident owl! Our mission is to foster environmental stewardship that connects our communities to the natural world of the Lower Naugatuck River Valley, and balance the demand for recreation with the need for conservation. As always, Admission to our Nature Center is FREE! Check our Facebook page for updates on Events and Programs. 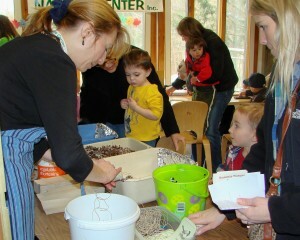 Every day is Earth Day at the Nature Center! We invite you to honor Mother Earth with our Friends of the Ansonia Nature Center, Inc. co-hosting this annual event. Enjoy hikes, live animals, music, environmental exhibitors, interactive activities with Nature Center staff, and more! Food and snacks available from local vendors. No park admission fee. All ages welcome; bring family and friends to celebrate Spring! More information can be found on our Earth Day Page! 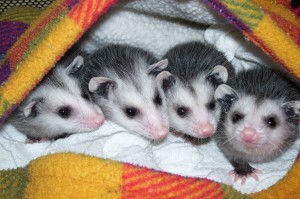 Do You Have Injured or Abandoned Wildlife? 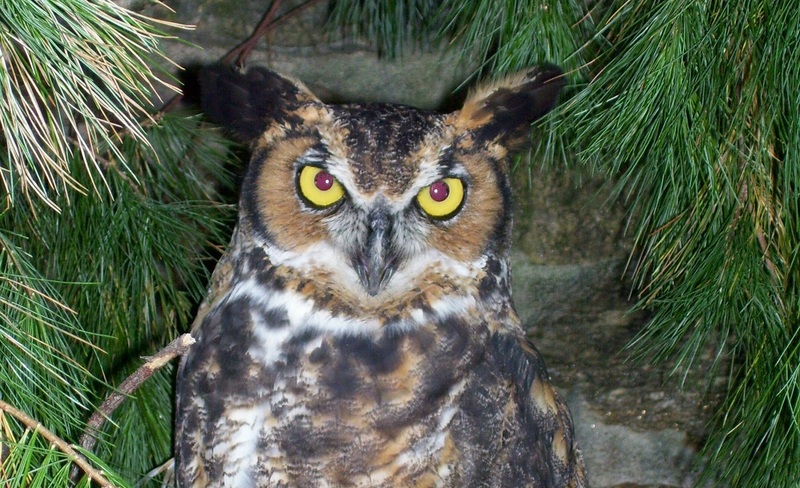 The Ansonia Nature Center does not care for injured or abandoned wildlife, but you can click on the “Wildlife Info” tab for more information about helping distressed wildlife. The Connecticut DEEP Wildlife Division and Connecticut’s Wildlife Rehabilitator’s Association can help! For children from 6 to 11 years old who love the outdoors and wildlife, these popular classes will not only be educational but also a chance to explore our 156 acres. We will visit a variety of habitats such as the park’s wetlands, fields, and woodlands. Great time of the year for amphibian searches too! Find our registration form HERE! TUITION: $125 priority students (Ansonia residents and current family-level FANCI members), $150 all others. Be a part of maintaining healthy habitat for the wild native animal species that call the Ansonia Nature Center home. Join Ranger Dan in an introduction to the benefits of artificial nesting structures for birds. Take a short walk to our pond, where Dan will install a newly constructed Wood Duck box. Children must be accompanied by an adult. FEE: $6 per person. Please register. FREE Creature Feature every Saturday at Noon! Our Rangers will share fun facts about our Animal Ambassadors while your children get to touch and hold the animals! FREE Guided Hike every Sunday at 1pm! 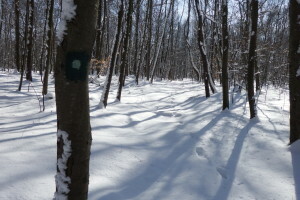 Join one of our Rangers on a hike around our 150 acre property! See brilliant song birds, croaking frogs, sun-bathing turtles, and more on this epic wilderness adventure! Check out our Calendar of Events for more information! Nature-oriented classes are provided to school-age children on weekdays. The staff makes learning fun by providing lively, age-appropriate topics tied to the Connecticut Core Science Curriculum Framework and NGSS. 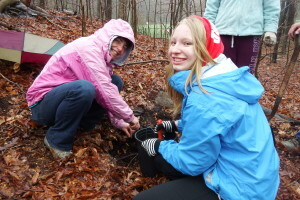 Nature Camp runs during ALL school breaks: spring, summer, AND winter! We also offer scout programs, call to talk to an instructor! We offer evening and weekend programs for adults and their families. If you’d like to receive a free copy in the mail, just provide us with your name and address by calling 203-736-1053. 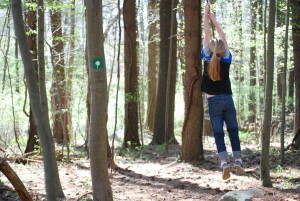 Our land is a typical Connecticut landscape that encompasses 150 acres of wooded hills, grassy fields, streams, and a two acre pond of which provides sanctuary to many species of New England flora & fauna. Each birthday party includes an up-close-and-personal encounter with one of our resident Animal Ambassadors! 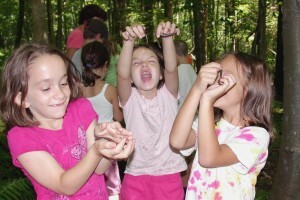 * Nature Center admission for up to 40 guests, up to 20 being children. * Animal presentation with the animal of your choice! 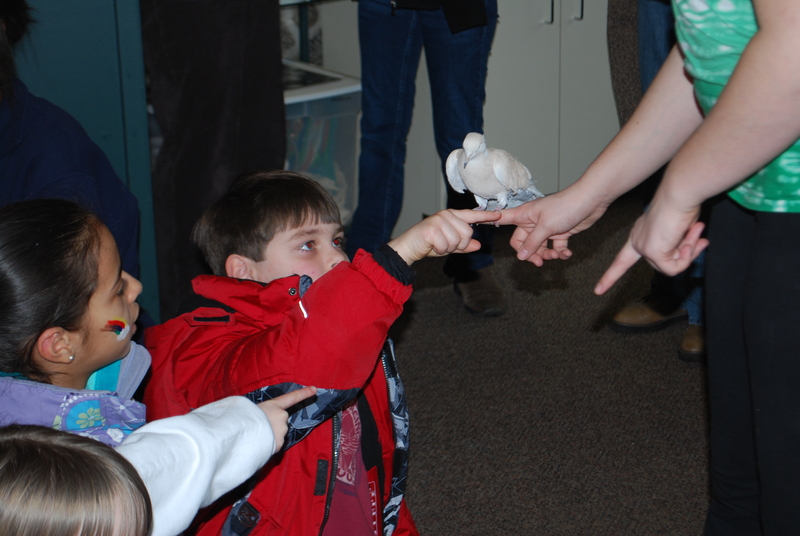 * An up-close and personal meeting with one of our Nature Center’s Animal Ambassadors! * A craft, hike, or other animal themed age-appropriate activity! You can find out more about our Birthday Parties HERE! 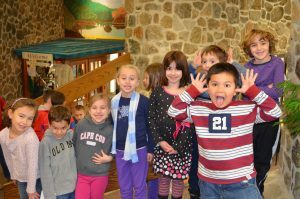 How Can I Help The Ansonia Nature Center? Please fill out a Friends Membership Form and send it with your tax deductible check made out to the Friends of the Ansonia Nature Center, Inc. (FANCI) to 10 Deerfield Lane, Ansonia, CT 06401. Thank you! We are looking for volunteers for a variety of different projects and programs. Please call us to find out how you can help. Parties and organizational groups of more than 15 people visiting the park please call the Ansonia Nature Center (203 736-1053) and talk with a staff member about space availability and are required to rent the picnic pavilion for $125 in addition to a $200 returnable clean up deposit. 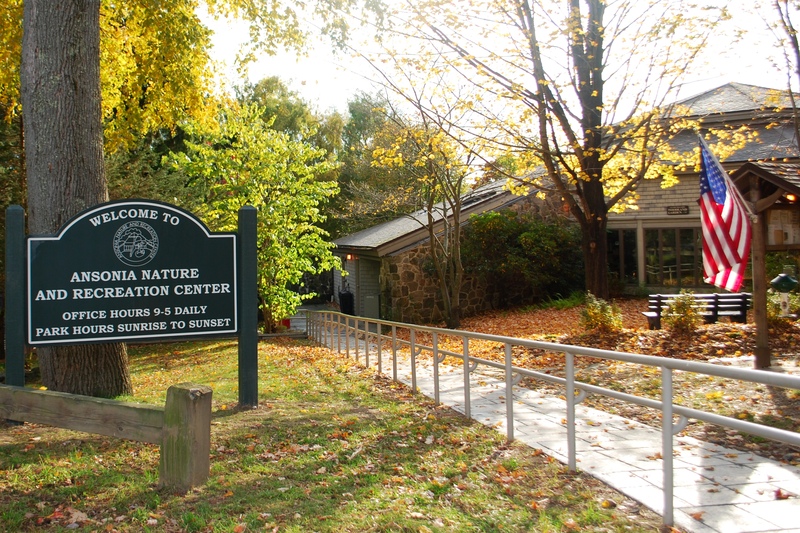 Organizations that visit the Nature Center without calling in advance may be asked to leave if space at the Nature Center is limited due to a planned Nature Center event or program. Scout or other organizational groups must book a separate class or program than those being offered to the public.